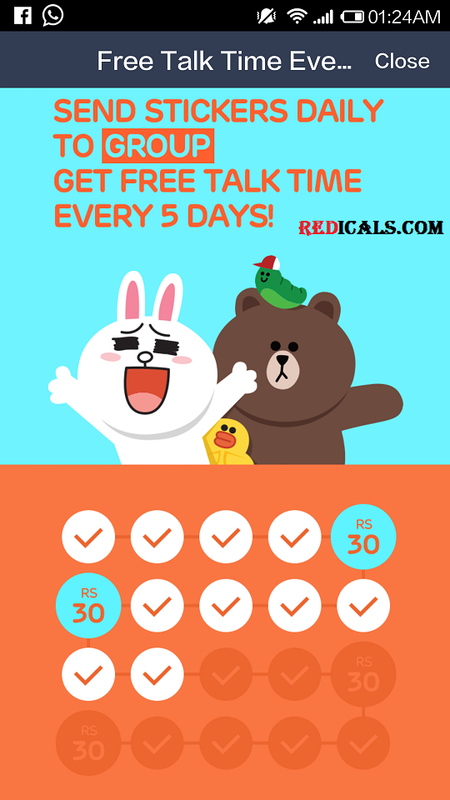 LINE is giving out free recharges again, This time LINE is giving a chance to win a free recharge of Rs 30 for every 5 days. 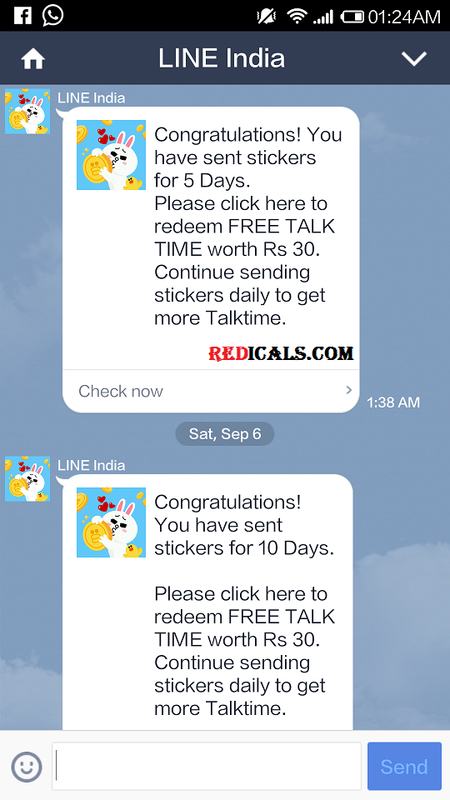 This recharge trick is valid for both existing and new LINE users. STEP 1 :- Download Line app from Google Play store and install Line Messenger App. STEP 2 :- Register with your Mobile number and Verify it. After Completing 5 days you will be getting above message Just Click on Check Now and Next Enter your Mobile No. and Service Provider Like Airtel, Vodafone etc.